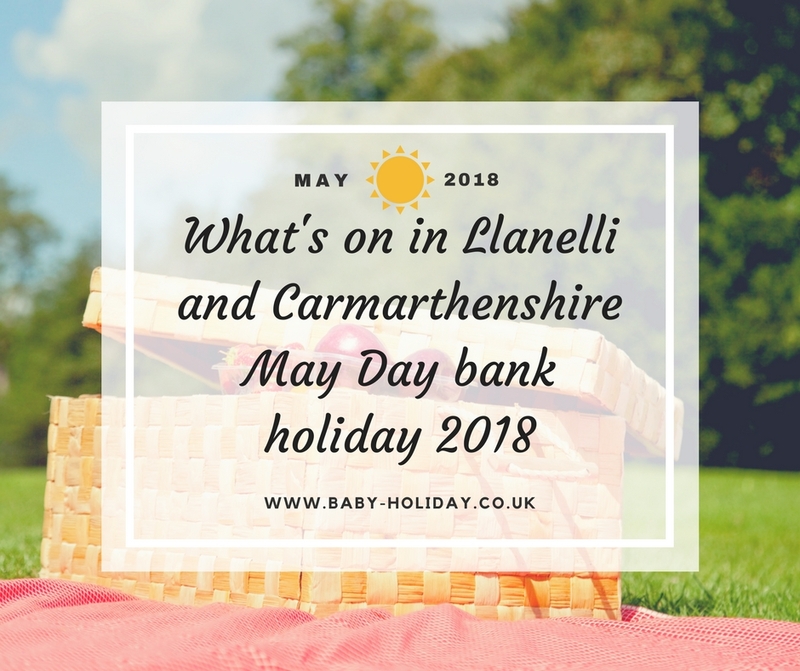 Here’s a round-up of May Day bank holiday events in Llanelli, Carmarthenshire and Swansea. Let’s hope the sun comes out as forecast and we can enjoy the weekend outside! Saturday, May 5 – Sunday, June 3, Llanelli Wetland Centre. Free after entry cost. The celebrity-designed Dusty Ducks are back at WWT Llanelli! Originally designed by the world-famous Aardman studios to celebrate WWT’s 70th anniversary, Dusty has had a makeover from 14 celebrities. Designs from Bowie-inspired Ziggy Stardusty and Ab Fab Patsy Dusty, to Justin Fletcher’s Pirate Justy Dusty are dotted around the grounds waiting to be found. Complete the questions on your trail card to win a bag of Dusty Duck goodies. Sunday, May 6 and Monday, May 7. Free after usual entry and car park costs. Pembrey Country Park will travel back in time to World War One over the May bank holiday. Visitors will be able to see infantry, cavalry, medical services, munitionettes, period police officers and civilians from that era interacting with each other. A WWI field hospital will be staged, complete with medical equipment. Visitors will also be able to meet the Yeomanry and their mounts, be instructed on the use of arms and equipment and learn about the shady activities of the members of ‘La Dame Blanche’ (The White Lady). A mix of living history and talks will be delivered by historians, experts and authors on the fighting at Mametz and the engineering projects built by conscientious objectors as well as the general history of Pembrey munitions factory. Dyfed Archaelogical Trust will also be there to provide information on the history of the park. The miniature railway will also be open over the bank holiday weekend, weather permitting. There’s all sorts going on at the botanic garden over May Day weekend. Visitors can join in with art, painting, willow weaving, spinning and woodwork in the Great Glasshouse craft festival. There will be a food court with local produce to try and buy, and children will be kept entertained with the Quack Pack duck and dog display. Folly Farm’s magician Luke Jugglestruck will be paying the garden a visit, and you can also have a go at archery. And on Saturday night (May 5), there’s the latest Cinema Under the Stars presentation with a showing of the 80s family classic E.T. Click here to book. Saturday, may 5 to Monday, May 7. 11am, 1pm and 3pm. Adults £12, children £6, under threes go free. Family ticket £31.50. Food and drinks suppliers from across Wales will be showcased at Gwili Railway over the bank holiday weekend. Visitors will receive a free Gwili bag to carry their goods home. Food will be sold on board the dining train at Bronwydd Arms through the day, with steam trains running at 11am, 1pm and 3pm. 10.30am – 4pm, Saturday May 5 to Monday, May 7. £4 adults, £2.40 children under 16. Meet historic characters at the castle and try your hand at archery. An under-17s foam party will be held at Play King on Saturday, May 5 from 7pm to 10.30pm. Tickets cost £6 online, or £8 on the door. This annual event has been running for 35 years and proudly showcases local vintage vehicles. This year sees the return of It’s a knock out, as well as hundreds of classic cars, a fun fair, bouncy castle and children’s activities, live entertainment all day, food stalls, licensed bar and a free car park at Bishopsgore School. There will be plenty to keep visitors busy, with circus workshops and Punch and Judy shows through the day. And of course, a chance to explore the castle, which features ancient graffiti art from the 14th century, private staircases leading from vaults to previous banqueting halls and a 30 foot high glass bridge. Monday, May 7. 10am-5pm (dinosaur performances end at 4pm). Adults £7, children £5, family (two adults, two children) £23. Under threes go free. Meet a life-size baby T-Rex, Tiny the Stegosaurus and Captain Jon Voyage and his beautiful dinosaur, Odysseia the parasaurolophus at Margam Park. Plus the chance to ask the safari ranger all your questions! These shows will take visitors back in time as the captain attempts to return the dinosaurs to the land that time forgot. Saturday, May 5, 11am-5pm. Free admission. Dress the children up as their favourite princesses or pirates and enjoy a pirate show, meet and greet with princesses, and the chance to win prizes. There will also be children’s rides, stalls and refreshments. Meet characters including Paw Patrol and PJ Masks at the park on Sunday. The Gnoll is hosting a big day out on bank holiday Monday, with free donkey rides, petting farm, meet and greet with children’s characters. plus rides and stalls. There’s a new playground at Parc y Bocs, in Kidwelly, just in time for the bank holiday weekend. The miniature railway will be open at Pembrey Country Park (weather-permitting). There will also be bouncy castles at the park (an additional cost). A street food festival at Swansea’s Museum Park from 12 noon to 10pm Saturday – Monday. Folly Farm is hosting a Cyw fun day on Monday, May 7. Details are currently unavailable online.